Gatwick Airport is sponsoring the Brighton Pride parade this summer, the organisers said today (Thursday 9 February). Britain’s second biggest airport will cement the partnership formed over the past few years as the festival celebrates 50 years since homosexuality was decriminalised. To mark the anniversary, Pride’s theme in August will be the “summer of love”. 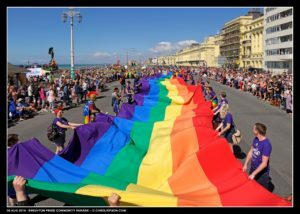 The Brighton Pride Festival takes place from Friday 4 August to Sunday 6 August – with the parade happening on Saturday 5 August. The Lesbian, Gay, Bisexual and Transgender (LGBT) community event has become Britain’s biggest Pride festival with more than 300,000 people estimated to have joined the celebrations last year. It has become, according to Tourism South East, the biggest event and tourist attraction in Brighton. A Gatwick Airport spokesman said: “As a partner of Brighton Pride, Gatwick is proud to be leading this year’s parade with our branded bus as the first ever Community Parade Sponsor. 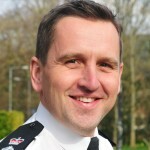 “Gatwick enjoys close links with the Brighton community and has been a strong supporter of the Pride event. 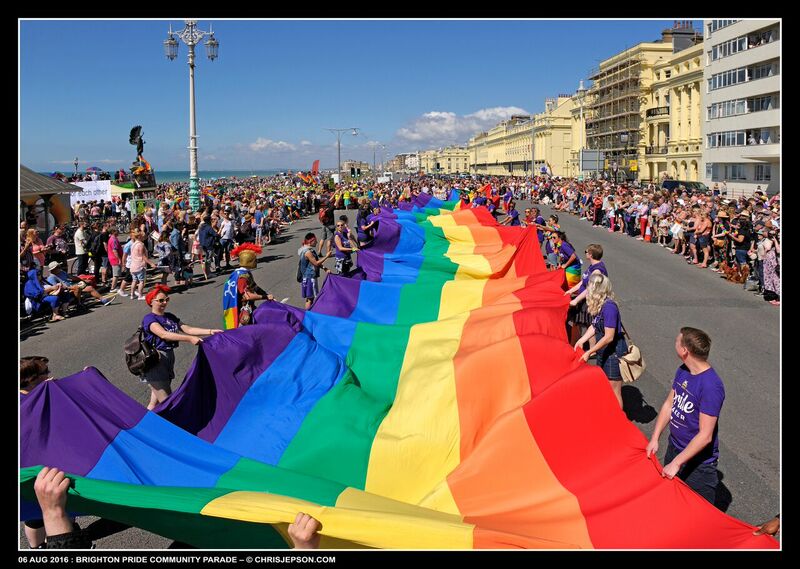 Last year the Brighton Pride Festival raised £100,000, bringing the total to £310,000 raised over the past four years for LGBT and HIV organisations and good causes across Sussex. The beneficiaries included Allsorts Youth Project, Lunch Positive, the LGBT Community Safety Forum, MindOut, Peer Action and the Clare Project. 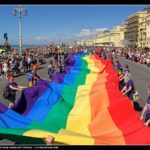 Paul Kemp, managing director of the Brighton Pride Community Interest Company, said: “We are delighted that Gatwick Airport has once again partnered with Brighton and Hove Pride. “Pride has evolved over the years with more communities coming together to celebrate the diversity of our city. 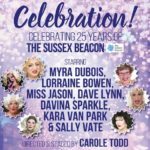 For tickets to Pride 2017, to register for an enewsletter or to make a donation visit www.brighton-pride.org.